Smilage Dental Center believes in creating a relationship with each patient that goes beyond the office doors. We've dedicated this section of our site to deliver important office news and to highlight important dental news to share with you and your family. Summer is underway, and the American Red Cross has already started to experience a decline in blood donations. Seasonal declines in donations are common this time of year. The Red Cross is asking eligible donors to donate blood in the weeks surrounding Independence Day and throughout the summer to help ensure a sufficient blood supply and there is a special incentive! To help increase blood donations before and after Independence Day, all presenting blood donors from July 2-6 will receive a Red Cross embroidered baseball hat, while supplies last. Because platelets have a shelf life of just five days, holidays can have an even bigger impact on platelet donations. To help offset this decline and encourage platelet donations, all presenting platelet donors will receive the embroidered hat from July 2-12. More updates from our region can be found on their regional Twitter account, @RedCrossBloodMA. For information about blood donation, or to schedule an appointment, download the Blood Donor App, visit redcrossblood.org or call 1-800-RED CROSS (1-800-733-2767). On April 6, 2014, Smilage Dental Center in Franklin will be sponsoring an event being co-hosted by the Franklin High School's Community Service Club and the Jimmy Fund. 100% of proceeds will be going to Dana Farber Cancer Institute. This will be a wonderful, meaningful event. Hope to see you there! Time to use up your dental benefits before it's too late! A lot of dental insurance plans have something called a calendar maximum. A calendar maximum is the maximum dollar amount that the insurance will pay annually (between January 1 - December 31) towards dental claims for each individual covered under the insurance plan. Starting January 1, a new calendar maximum begins and the unused maximum from the previous year is lost. Don't let your insurance benefits go to waste! If you need restorative work, set up an appointment now for December to take advantage of your 2013 benefits, then you can use next year's calendar maximum for other treatment you may need. If you do not need restorative work, it's still a great idea to keep up with your routine cleaning and exam every six months. 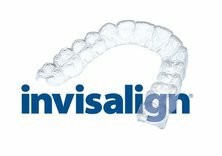 Not only is preventative and diagnostic services essential to your oral health and usually covered at 100% by dental insurance plans, but some insurance companies will consider rolling over a portion of your calendar maximum to the next year and the year after that if you keep up with your routine care. This continual rollover can be a lifesaver to your wallet if you need unexpected restorative work. If you put money into your healthcare flexible spending accounts (FSA)* annually, then you most likely will be happy to hear that the "use it or lose it" rule is being modified by the Treasury Department. The modification is a direct response to an overwhelming amount of public commentary and it allows for either a $500 of rollover to the following year or a grace period for utilizing your remaining funds. Which one applies will be up to your employer's discretion, but still good news for many struggling to find ways at the end of each year to utilize any unused money you've set aside from your hard-earned paycheck for those unforseen medical expenses. * Flexible spending accounts (FSAs) are accounts employees contribute before-tax dollars to for eligible healthcare expenses. Halloween will be here in three days and halloween candy will be closing in on many teeth! Below are a couple articles ("This Halloween Don't Play Tricks on Your Teeth" and "Survey: Kids’ Perceptions of Halloween Include 'Too Much Candy' and Desire for Other Types of Treats") that I found interesting, shared from the American Dental Association (ADA)'s website with useful information for both children and adults who enjoy Halloween. CHICAGO, Oct. 11, 2010—This Halloween and throughout the year, the American Dental Association (ADA) advises not to play decay-causing tricks on your teeth and offers advice on treats and vampire fangs. "Over time, if you don't properly clean your teeth, the results might be tooth decay, gum disease and possible tooth loss," states Dr. Ruchi Sahota, ADA consumer advisor and a practicing dentist from Fremont, Calif. Plaque is a sticky film of bacteria that constantly forms on the teeth and gums," she explains. "When these bacteria come in contact with sugar or starch in the mouth, they produce acid that attacks the teeth for 20 minutes or more. 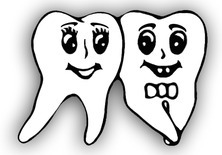 Repeated acid attacks can cause tooth enamel to breakdown, eventually resulting in tooth decay." "Sticky candies like gummies and taffy adhere to your teeth longer than something like chocolate, which easily washes away with saliva or rinsing. Hard sugary candies are held in the mouth longer, giving bacteria in the mouth more time to create acid that weakens tooth enamel," says Dr. Sahota. Some research suggests that certain foods, such as cheese and peanuts may be 'friendly' to teeth. So if you do snack, choose snacks that are healthy like fruit, nuts or cheese. Chewing sugarless gum for 20 minutes after meals has been shown to reduce tooth decay, because increased saliva flow helps wash out food and neutralize the acid produced by dental plaque bacteria. The popularity of television shows, movies and books featuring vampires has led some people to actually file their teeth to points, making them look like vampire fangs. "We strongly caution people against altering their teeth because of a fad. Filing teeth weakens tooth structure and, if the person later changes his mind, restoring teeth to their natural shape can be costly," explains Dr. Matthew Messina, a Cleveland-area dentist and ADA consumer advisor. "Wearing a mouthpiece for a short period of time for a costume party is fine," adds Dr. Messina. "Just be sure to brush your teeth after wearing the mouthpiece to reduce mouth bacteria. The ADA offers the following tips to help reduce tooth-decay risk and still enjoy Halloween. Consider chewing ADA Accepted sugarless gum after meals. Certain sugarless gums have earned the ADA Seal of Acceptance for scientifically proving that chewing the gum for 20 minutes after meals helped prevent tooth decay. New York, October 24, 2012— The American Dental Association (ADA) and PopCap Games today announced the results of a new survey targeting trick-or-treating children (ages 5 to 13) in the U.S., looking at kids’ views and perceptions of Halloween. Approximately 94% of all American children participate in trick-or-treating, and 65% of them consider Halloween the best holiday of the year. At the same time, the survey found that a significant majority of kids are primed for changes to the holiday. Among the top findings, two-thirds of kids surveyed agree that they eat too much candy around Halloween, 89% say they would still like the holiday if it was less about candy and more about other types of fun, and fully 93% would prefer to receive a video game instead of candy while trick-or-treating. "Children themselves are asking us as adults to help curb sugary snacks," said Dr. Jonathan Shenkin, ADA spokesperson on pediatric dentistry. "The Stop Zombie Mouth campaign is an excellent way to bring together an alternative treat for Halloween with an opportunity to increase awareness among parents and children about the benefits that practicing good oral hygiene can have on overall health. Learning and practicing good oral hygiene habits now will pay dividends later in life." For two thirds (65%) of U.S. children, Halloween is considered the best holiday of the year. Among all children surveyed, the three most-liked Halloween activities are "Trick-or-treating" (75%), "Dressing up in a costume" (71%), and "Getting lots of candy" (66%). More than three fourths (78%) of kids surveyed agree with the statement "too much candy is bad for me," and two thirds (67%) say they eat too much candy around Halloween. Girls who were surveyed were somewhat more likely to respond in the affirmative than boys: 82% of girls agreed with the statement "too much candy is bad for me," compared to 74% of boys. 89% of responding children indicated that they would still like Halloween if it was less about candy and more about other types of fun. Further, 93% of all kids surveyed stated they would rather receive a free video game than a piece of candy while trick-or-treating. 42% of children surveyed said they worry about getting cavities from eating too much candy around Halloween. Announced earlier this month, the “Stop Zombie Mouth” campaign will continue through Halloween, and provides parents, dentists and other adults with trading cards and coupons redeemable for entirely free copies of PopCap’s family friendly hit video game, Plants vs. Zombies, which can be given away to trick-or-treaters as a tooth-friendly alternative to candy. Already, thousands of ADA member dentists nationwide have ordered Stop Zombie Mouth kits to outfit their offices with the campaign theme and provide free collectible Plants vs. Zombies trading cards and game coupons to their patients. Our Franklin office has moved!